NOTE: View the most recent update to this post here. 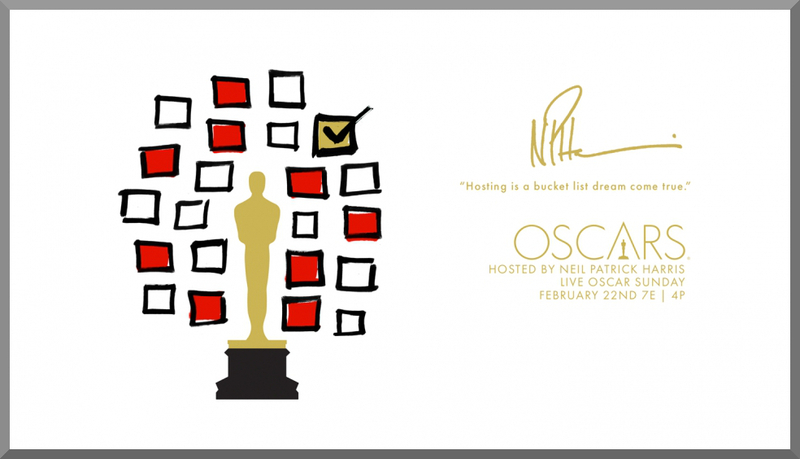 February 7, 2015 — The Academy Awards are upon us yet again. Just three short weeks from now, fancy envelopes will tell us what movies old white men in Hollywood liked the most from last year. And as is tradition for this site, I will share my predictions for the big show with you, and if you really feel like taking a risk, I’ll let you use them for your own Oscar pools (that is, if you’re prepared to lose potentially large sums of money.) This year, we’re doing something a little different. Instead of spilling my whole set of picks at once, I’ve decided to spread this out over the next few Saturdays, until we get to February 21, the day before the show. And now, onto today’s topic: the so-called technical categories. The Grand Budapest Hotel has the same striking set design and visual quality of all of the films of its director Wes Anderson. And because this is by far Anderson’s most honored film yet, that gives it the room to claim an easy prize for its sets and production design. I don’t have a very strong feeling for this category. I have it going to Into the Woods largely because that film’s costumes were designed by eleven time nominee and three time winner Colleen Atwood. A titan of her craft, it wouldn’t be surprising if this turned out to be win number four. With Guardians of the Galaxy right behind it. Truth be told, Budapest could win all three of the awards we discussed so far, via the magic of sweep voting — checking off its name in category after category on the ballot if it shows up often enough. This is an easy win. Birdman’s biggest technical gimmick is that the film looks like it was captured in one long take. In reality, it was a set of well-edited shorter, but still long takes, framed by acclaimed DP Emmanuel Lubezki. He just won last year for Gravity, and he’d better clear another spot on his shelf. With what was seen as her main competitors (Douglas Crise and Stephen Mirrione for Birdman) out of the race, the 12 years of footage Sandra Adair cut together for Richard Linklater’s film should be more than enough for her to collect the requisite number of votes for a clear walk up to the podium. The movie with the most music usually has an advantage in Mixing, and Whiplash, a film where music and musicians are a focus of the film’s content, should have a win cleared out. Although watch out for Interstellar, because enough Academy members may not have realized how hideous that film’s sound mix can be at times. The high-grossing blockbuster doesn’t have a lot of easy wins carved out for it, so this is a sufficient place for AMPAS to say they at least gave it something. Also, big, loud movies can do well in the Sound Editing category, and what bigger, louder movie can there be than a war film? Because if the Academy doesn’t give Interstellar at least one award, there will be a fanboy riot on the streets outside the Dolby Theatre. However, I do foresee one scenario of such an uprising occurring, and that’s under the hand of a possible Dawn of the Planet of the Apes upset. Tune in next Saturday (February 14) for my predictions on Best Animated Feature, Foreign Language Film, Documentary Feature, Original Score, and Original Song.